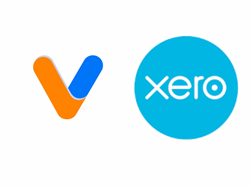 International payments pioneer, Veem, today announced an integration with cloud-based accounting software Xero. The integration will enable Xero users and accounting professionals to automatically sync vendor bills from Xero into Veem to streamline international payments, save time and money, and limit human errors. With the Veem integration, Xero users can seamlessly pay international bills through the familiar Xero platform. When a user enters a bill in Xero, the bill automatically can be paid through Veem’s global payment platform. The Veem platform supports global payments in US Dollars as well as multiple currencies to over 60 countries. Users are able to see exchange rates as well as the currency related to the payments. Additional automation ensures that Veem payment IDs are automatically added to Xero bank reconciliation reports. The Veem platform is an essential tool for small and medium businesses paying international vendors. “Connecting Veem with Xero simplifies international payments even further by eliminating double entries and simplifying reconciliation,” commented Mark A Gilbert, President, CEO of MBS Accounting Technology & Advisory, an accounting firm specializing in Bookkeeping, Accounting Technology Integration, and CFO Reporting Services. The Veem global payments platform now allows financial professionals to bypass the cumbersome bank-to-bank international wire transfer process and send global payments through a simple interface in a matter of clicks, not hours. Through the Veem - Xero integration, Xero customers now have access to simple, more automated international wire transfers. Both Veem and Xero serve small to medium-sized business, which in the U.S. account for ninety-four percent of global trade by volume. Both Veem and Xero have large global customer bases, who send and receive payments to and from customers and suppliers around the world regularly. "Veem is the global bridge that brings businesses, their customers, and suppliers closer together. We’re here to support the network of small businesses that power the global economy," said Marwan Forzley, CEO and founder of Veem.